By Peter Anderson 27 Comments - The content of this website often contains affiliate links and I may be compensated if you buy through those links (at no cost to you!). Learn more about how we make money. Last edited March 8, 2019 . A week or so ago I talked about how I had opened a new online high yield savings account with one of the personal finance blogosphere's favorite banks, CapitalOne360. CapitalOne360 is great because of a variety of factors, but for me the ability to set up sub-accounts, and to budget using their automatic withdrawals to sub-accounts was the clincher. You can read more in depth about why I signed up for them HERE. 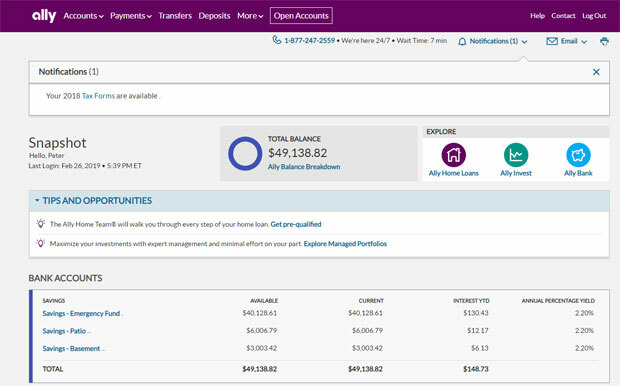 While I love the budgeting and other features of CapitalOne360, I also wanted to open another account with a higher interest rate so that we could gain a bit more interest on our 8 month emergency fund while it sits around waiting for an emergency. Our 8 months of expenses is no small amount, and having the money at a bank with a higher interest rate means hundreds of dollars in interest every year. So to continue my research for the next few weeks I decided to write some quickie reviews of some of the more popular and higher interest rate banks that are out there. Today I'm reviewing Ally Bank. Ally Bank: Where Did They Come From? Is Putting My Money With Ally Safe? Ally Bank just popped onto the banking scene a short while ago, but what a lot of people don't realize is that Ally Bank is the new face of an old name, GMAC bank. They changed the name in May of 2009 at a time when they were giving the company a facelift, and giving a promise to be the customer’s “ally”. Thus the name. So far their competitive rates are good enough for me to say that they're off to a good start. Be my ally by giving me more money! 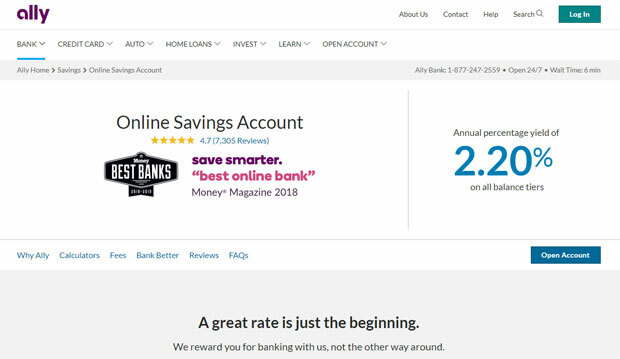 Ally Bank was honored by Money Magazine in 2018 as the “Best Online Bank”, so you know they've got a solid reputation and a good slate of offerings. One of the first things you should ask when signing up with a bank is, “Will my money be safe if I bank with this company?”. With Ally your money will be safe and sound because the bank is FDIC insured, and has been since August 2004 – under their old name of GMAC. If you deposit your money and the bank goes under, you'll be fine – as long as you don't have more deposited than the FDIC insurance will cover. Currently that amount is $250,000 per depositor. While I haven't actually opened an account with Ally yet, my understanding is that the process is pretty simple. It's a 5-step process. You'll need to provide some basic information (including your SSN and drivers license), and they'll do a hard credit pull. Then you just set up your initial deposit, set up a few account options and you’re set to go. No big deal. Open your account with Ally Bank. Click here to sign up now! In addition to it's competitive high yield savings accounts Ally Bank also has other options available including classic CDs, no penalty CDs (ability to withdraw early with no penalties) and money market accounts. All of them seem to have rates that are currently competitive. For more details about their other account options, click here. At the time that I wrote this, Ally Bank offers some of the highest interest rates in the country and all of their accounts are FDIC insured (to find current updated rates, go here). Add to that their other solid account options, no fees or minimums, great mobile app offerings, good security and 24/7 customer service and you have a solid bank offering. If you're looking for a good high yield savings account where you can put your money, I think Ally Bank should be near the top of your list. I know it's near the top of mine now as I continue my search. Do you have any experience with Ally Bank? How do you like them? What are the pros and cons of their accounts? Leave us a note in the comments! They definitely look interesting! I may have to open up an account with them after my co-op closes. The sub-account feature is great, but comes at a cost. If you go to https://www.checkingfinder.com/ you’ll find high interest checking accounts that pay a much higher rate (though their restrictions will be different). A quick search turned up Royal Bank of Missouri with is currently paying 4.3%. So nice features like sub-accounts aren’t without a cost. That said, there is also a “bookkeeping/time management” cost associated with the required “10 Debit Card Purchases”. All this is to say, know your costs (be it lost interest or an extra time requirement) before diving in. I’ve had Ally for a few months now with a high savings amount. The password it asks you to create needs more explanation but the customer service is friendly and available. So far I’m very pleased with my decision with putting my EF in it. I also opened an online Emigrant Direct savings account and are very pleased with their incredible security. Both these banks are worth looking into. 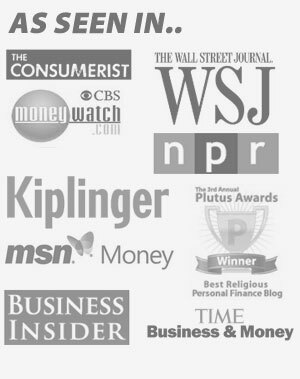 Gotta be honest, I started reading this web-site a few months ago and loved the Christian insight it gave when it relates to financial issues. However, I must admit I am dissapointed that the posts are turning into one corporate endorsement after another. I realize one of your goals with this site is to make some supplemental income but I think it has strayed from what it used to be just a few months ago. Keith, I’m in the middle of researching online accounts right now, and while the post does have an affiliate link, I don’t consider it to be completely a “corporate endorsement”. I actually am researching these accounts to figure out what’s the best one for me, and hopefully the information contained in the post will help inform someone else out there about what their options are as well. That being said, the post is completely open to comments – pro or con – about Ally Bank and people’s experiences with them. I’ll be happy to publish any of those comments here. Don’t worry, while we may be publishing bank account reviews, we won’t be getting rid of our Christian financial content anytime soon either. ;) Thanks for the feedback. Hang in there Keith, I understand your point of view. Just keep in mind what you mentioned about monetization, also what Pete mentioned about doing reviews, then also consider the fact that writing killer posts is very time consuming and motivation can come in spurts; so sometimes writing a straight up review is a necessary break. Keep watching, my guess is that Pete will be delivering high quality content, from a biblical perspective, long into the future! Matt Jabs´s last blog ..The Modern Pocketbook – A Spending Journal and a whole lot more! I have experience with Ally Bank. They will not open a savings account for a young adult with no credit history. (I didn’t type bad credit history, I typed no credit history.) Why would we want to support a bank that forces customers to use credit before they will accept savings deposits? When I called them on it, their pathetic explanation was that “our investors require that policy.” Screw their investors and screw Ally Bank for its FICO cram down tactics. Another reason to support local banks and credit unions I suppose. Mr. ToughMoneyLove, I understand the frustration and I don’t like the FICO credit score game either. But it was to avoid situations like this that I got a credit card while I was in college. I paid it off monthly and used it to build a strong credit history. Like it or not, a strong credit history is more advantageous than disadvantageous. Peter: Some choose to play by the Man’s rules. Others prefer to seek to change the rules when the Man is evil. In this scenario, FICO is the Man and it is evil. Ally is its helper. Capitulating as a college student doesn’t change that. There are banks that compete with Ally that do not force FICO’s rules on young adult depositors. The strongest “credit” history is positive cash flow and positive net worth, things that FICO ignores. Lots of folks who had “strong credit history” are now in foreclosure. How does a credit card in college help that? Peter: I don’t think a credit card in college helps anyone in foreclosure. But strong financial principles learned and reinforced in college may have prevented foreclosure in the first place. Evil banks want debt slaves. FICO is the enabler. This bank does a HARD pull on your credit history before they will do you the "favor" of taking your money. If you have no credit history, I consider it a badge of honor to be able to function in this debt-addled society without it. Don't play their game! How ridiculous is it to require a credit score to put money INTO their bank? Seriously? We ran into the same issue and told them they can keep their account, we don't need it. We will never do business with such a shady operation and I will spread this message to anyone and everyone I know. There's plenty of other banks that will open an account with no minimums or fees out there that DO want your business. Do a google search and you will find them easily. With "Ally's" like this, who needs enemies? Actually, it is just the opposite. 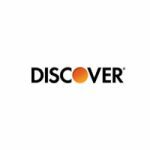 I just opened a CD with ING and they dropped my rate on the CD from 1.65% to 1.55% even though they had all my information, I had finished registering my account and the rate was not changed till 6 days after they had all this information. I opened Ally bank CDs and got the rate they told me. ING has lower rates and needs to learn from Ally Bank’s 10 day rate guarantee. I am moving all my money to Ally from ING. I think Ally is truly setting the standard for all the other Banks. 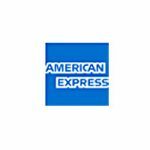 They have a really easy to use website and I love their 24×7 customer service. Unlike the other banks, you can talk to someone by just pressing 0 any time and can usually talk to someone almost instantly rather than holding endlessly. Thank you Ally! “Welcome to Ally’s Live Chat. Thanks for joining us! A Customer Advocate will be with you in a moment. You are number 1 in the queue. Your wait time will be approximately 0 minute(s) and 8 seconds. Thank you for waiting. Marta: Thank you for chatting with me today. How can I help? Chris: I signed up for my account with the intention of using sub-accounts for my savings – how do I go about setting up these sub accounts to allocate money for different purposes? So now I am confused – did they stop offering sub-accounts and if not how do I go about opening one? maybe they don’t call them sub-accounts – my understanding is that they are separate savings accounts that you can open (as many as you want) and name for different savings goals. Not sure if the chat agent was confused because of that? why does a savings account require a credit check? you’re just dhepositing money, no checks are being written. This I dont understand. They don’t actually do a credit check. They call it a soft pull to verify your identity, so some fraudster is not out there opening accounts in your name! I love Ally bank and have slowly moved all my money over to them. Much better compared to Bank of America, ING and E-trade who I used earlier. I absolutely love Ally bank. Been a customer with them for a couple of years and have only been more and more impressed. Very good website and very helpful customer service. I particularly like the speed of their transfers. Folks I would not open an account with these theives under any circumstance. I made that mistake and still paying for it. Seems they could not automatic deposit my first paycheck in to the account. so I overnitghed at cost of $52 the check. Seems there was no one there on Saturday to accept the check so It was not delivered unitl Monday morning. Tuesday my Account showed the check deposited and my available balance was what I was expecting to be, so I started paying my bills. Next morning I now see a negative current balance and multiple 9.00 fees. Called the bank and they informed the check had a 10 day hold on it. So here I sit being payed but not able to access the funds. Next up they start sending out bill pays for bills I expected to have money for. They sent one out the 21st of the month and it has yet to arrives and tomorrow it will be late. Look at my account today and they sent another one to the same place that was not authorized. I have closed the savings account and just waiting for the hold to finally clear and I am gone from this bank. I would not trust ally to take out my trash let alone handle my money. I’ve been with Ally Bank now for about 6 months or so, and so far they’ve been great. Easy to use site, easy transfers, good customer service, one of the higher rates of interest – although that has been dropping lately. ( i suppose most banks have pretty low rates right now). I recently switched my many targeted savings accounts from ING to Ally. I’ve been with ING since 2007 and Ally since 2010. No problems whatsoever with either of them, unlike my former brick-and-mortar bank. I don’t play the max-interest game but switched for a convenience factor that my husband preferred our primary checking account to be with Ally. All of the negative reviews I have read/heard about Ally were about the process of opening an account (like the previous commenters), so I guess if you exercise patience in getting through that period things should be smooth sailing after. The features for an Ally high savings account sound right up my alley. I have been looking for a place to put my savings but I have not done much research yet other than a Schwab account and my own personal bank savings plan. I like to diversify where I place my money so I will check out Ally. Ally bank got Billions in the TARP fiasco, so on that basis if they pay you higher interest it just came from other taxpayers. I would not want to deal with a bank that got bailed out, but do realize many of the big ones did and in my case Citibank took over the bank I had my mortgage with, so even though I don’t want to deal with them I am forced to. Ally still makes excuses why they don’t have features they promised – just teasers, while not delivering anything. On top of that I just had an experience where their loss prevention/ fraud department gave me a major attitude with the “I don’t care” attitude about them taking my money hostage. They froze my account without any warning. I lost access to my bank account, bills weren’t getting paid, couldn’t access to set up bills, couldn’t get cash out from ATM, etc. all b/c I had called in the general customer service dept raising my concerns about the billpay not working correctly (payee information was being altered without me doing it – such as payee address and acct number – which resulted in some of my bills not getting paid. Was able to find multiple case of similar glitches once I started investigating). The general customer service dept’s hands were tied as they also didn’t know what was going on and couldn’t get access to my account. Turns out that the fraud department started looking into the issues I reported, froze my account without notice, and left for the weekend as their FRAUD department only works 8am~5pm ET. I was left without access to my account all weekend without notice. Again, no bill pay, no access, no ATM use. When I finally got a human being from the fraud department on the phone on Monday, the gal who was handling the case took a tone with me (defensive). So I asked to speak with the supervisor – who all he did was try to get rid of me and totally had the “I don’t really care” attitude while giving me excuses. No sincerity for what they put me through what so ever. The general service department was clearly trained much better to be professional and be polite and apologetic when they couldn’t help. However the fraud department was unprofessional, insincere, and just a 8-to5?er who didn’t care. I am leaving Ally not only because they promised features they can’t deliver but because of the billpay issues I’ve experienced, along with the most terrible customer service I received from the fraud department. They took my account hostage without notice and they didn’t even apologize, just saying “that’s our process” – what a cop out to blame the “process”. I’ve spoken to other friends who recently also joined Ally. They told me their nightmare stories and we’re all leaving. I can’t stay with a bank I cannot trust. No way I can trust my money with this bank – I’m just so shocked they get away with this. They spend all their money on advertising and promising features they don’t have. Now I learned that their “process” is messed up and they don’t have respect for their customer and their money. I am baffled they can get away with this. Next Post: What Is A Roth IRA And What Are The Benefits?